A trifle always makes a big impact at the end of a meal, with its flavorful and textured layers of cake, berries and filling. Not to mention they’re super simple to make, especially if you start with a store bought cake — which is perfect when you need a last minute dessert for a holiday get together. 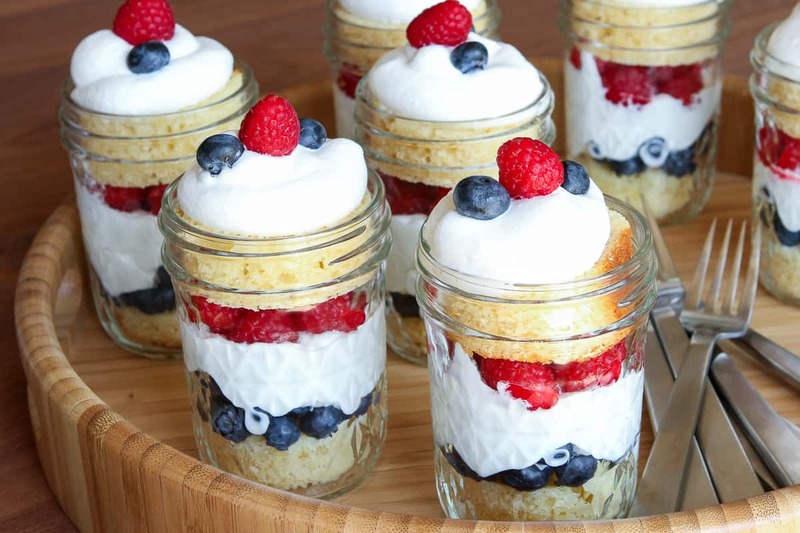 Whether you make a patriotic trifle or another trifle recipe, making them in jars means that you can easily layer them up ahead of time and put lids on top for transporting them to your destination (assuming you don’t fill them quite as full as I did). Since they’re already in a single serving size, you avoid the mess that typically goes along with serving up a trifle from a large bowl. Trifles are endlessly customizable, but I chose to use a simple store bought pound cake with blueberries, raspberries and homemade whipped cream to achieve a patriotic effect for the 4th of July. I selected Ball 8-oz. quilted jelly jars for the perfect individual serving size. Slice the cake into pieces that are about 1 inch thick, and then use round cookie cutters to cut the cake into rounds. 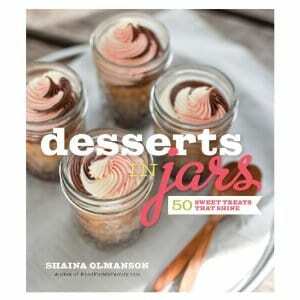 I found that I needed a slightly smaller size for the bottom layer than the top since the jars are tapered. If you don’t have round cookie cutters, cutting the cake up into cubes would work as well. Start with a cake layer on the bottom. 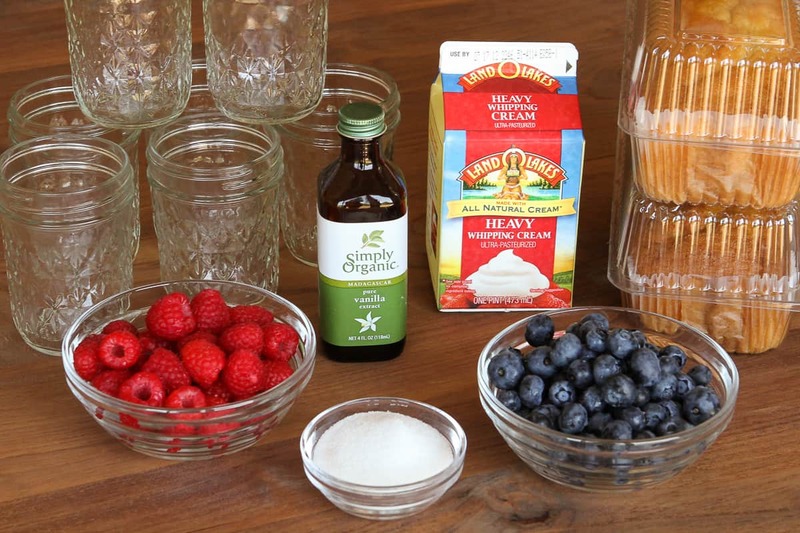 Then just layer your berries and whipped cream to create a red, white and blue effect. Top with another cake round and a dollop of whipped cream. Garnish with extra berries if desired. 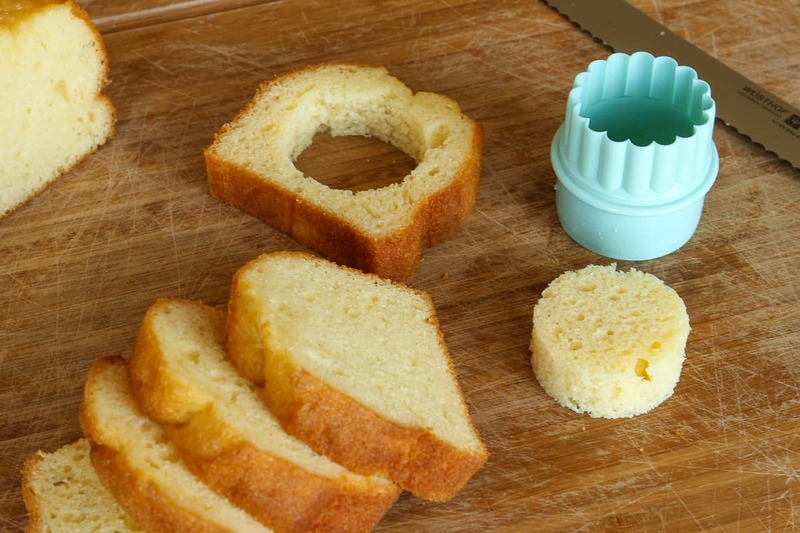 Slice pound cake into 1 inch slices, and cut circles to fit jars. Alternately you could cut the pound cake into cubes. Starting with a layer of cake on the bottom, follow with blueberries, whipped cream, raspberries, and top with another layer of cake. Garnish with more whipped cream and berries if desired. This is a perfect recipe for enlisting some help from the kids. They can participate in every step outside of possibly the cake slicing for younger children. The only trick is keeping them from eating the finished product before it’s time! Hi Connie! It really depends on whether you prefer to use real homemade whipped cream or an alternative like Cool-Whip. Since homemade whipped cream does not have preservatives and stabilizers, it won’t remain fluffy indefinitely. If you use Cool-Whip, I’d say you could make them up the evening before your party. If you prefer to make your own whipped cream, I’d prep all of the cake and the berries the evening before and then assemble them as close to your departure time as possible. Thank you so much for your response. This will help me out a lot!!!!! Love this. Just put up/credited to you on my blog. http://www.masonjarlove.com Love your site. Looks delish and colorful. Could be used for any patriotic holiday. I have jelly jars that would seem to work. Labor Day coming up. How cute are these?? :) They look so delicious!! Oh how I wish I would have seen these sooner! Oh well, we can still make them even thought July 4th is over! Thanks for sharing this! Perfect for portion control, too, lol! I will be looking into purchasing the book, too. 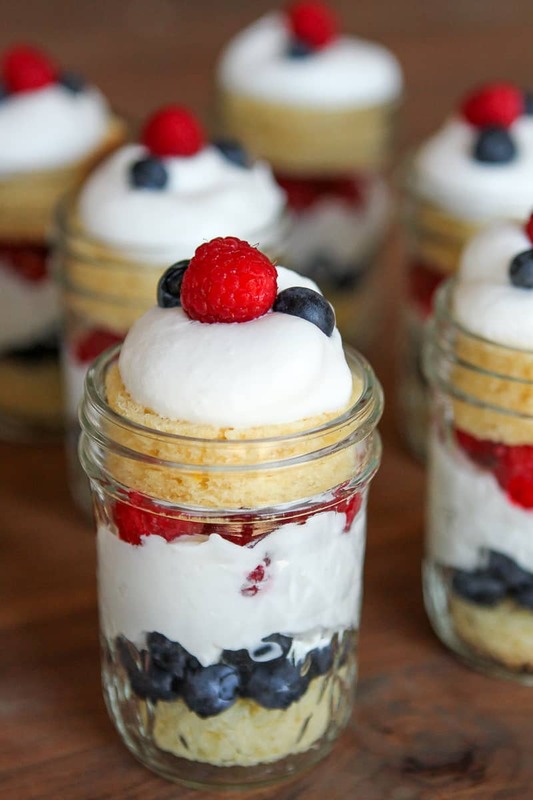 We love trifles, and these look delicious! I normally make mine with strawberries and blueberries, but the raspberries look appealing, too. I already have the same exact jars at home, so it’s nice to know that they will work out perfectly for these little treats! Fun! 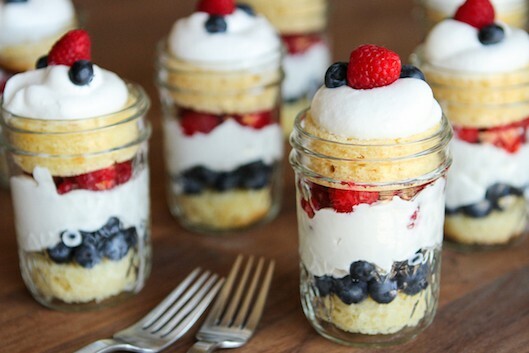 I love the trifle idea for the fourth. Easy to prep, easy to eat.